Images are saved as JPG or TIF format files. We will roughly color balance and adjust density on our system. Images will or may appear different when you view them on your system. Images will be closely matched to the originals based on our calibrated monitor view. You can later profile the images to your print output devices and monitor. Images are roughly cleaned at a 50% view. More detailed cleaning and editing will be billed at $60.00 per hour. Images being scanned and printed by us will include the necessary cleaning and adjustments to produce a final print from our printer. 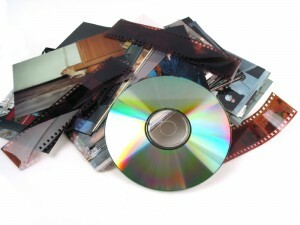 Photo print scanning charges are based on the file size of the final scan. Please use the “calculations” tool to determine what size scan you will need or contact us directly to assist you. If you have a large quantity of scans to be completed, take a look at our ShoeBox Scanning service. For prints from 3×3 up to 8.5 x 11. Loose prints only and must be sorted and stacked by print size. Orders not submitted this way will be charged an additional .05 cents per image. We can scan both the front and back of your images, preserving comments or information that is written on the back of the image. Please put these prints in their own stacks for batch scanning double sided. Mounted prints, prints smaller than 3×3 or larger than 8.5×11 and prints on hard board need to be scanned individually at an additional fee of 1.50 each. Or use our standard scanning service. We ask that you take prints out of albums prior to sending them into the lab or we will do it for at an additional .20 cents per image, images will not be put back in albums. Removing images from frames and putting them back in the frame will be 15.00 per image. Copyright studio shots will be omitted. If you would like your prints scanned in order we ask that you lightly number the back of each one, 1, 2, 3… etc. To guarantee collation is $.10 cents per image. Please do not use tape or post it notes to label prints for bulk scanning.